Brazos Builders, Inc. was founded in January 2007 by two individuals committed to the construction industry. Combining over 60 years of business and industry experience, Leacia Brilliant and Wayne Burke launched Brazos with a commitment to providing innovative construction solutions. Leacia and Wayne reached back to their Texas roots to name the company. The Brazos River is the longest river in Texas, flowing 840 miles through the state to the Gulf of Mexico. The Brazos River is only a few feet wide at its narrowest point and spans several hundred feet in width at its widest point. What does this fact have to do with Brazos Builders? Brazos partners with a wide range of clients on a variety of projects and commits their best, regardless of the size of the project. Our experience and expertise is as far, wide, and deep as our namesake. Brazos has established a rock-solid management and organizational structure. With nearly 150 years of experience, Brazos’ team has substantial resources in operations, estimating, project management, business development and marketing. Leacia R. Brilliant is 51% owner and President of Brazos Builders, Inc. She has over twenty years of business experience, and life-long exposure to the construction industry. 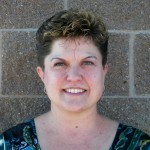 Prior to opening Brazos, she was Marketing Director and Project Manager for Sun Construction, Inc. in Colorado Springs. She earned her Bachelor of Science degree from Regis University in Business Administration with an emphasis in Management. Leacia is responsible for overseeing the finances and day-to-day operations of Brazos, marketing, business development, including identifying project opportunities, negotiating new projects, contract administration, client relations, and project management. Wayne Burke is 49% owner and Vice President of Brazos Builders, Inc. He has over four decades of experience in commercial construction which includes estimating, negotiating, conducting constructability reviews, development of construction documents, design/build, project management, and value engineering. In addition, Mr. Burke exhibits a business approach and communication style that makes him an invaluable asset and friend to his business clients. He is primarily responsible for business development, client relations, estimating and negotiating new projects, and project management. Chuck Zimmerman is the general superintendent for Brazos Builders, Inc. He has almost 25 years of construction industry experience which includes rough carpentry, framing, roofing, finish carpentry, trim carpentry, and millwork installation. 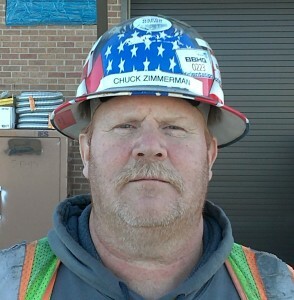 Chuck’s primary responsibilities include supervision of all field operations, project management, budget control, subcontractor relations, quality control and safety monitoring, and project completion. 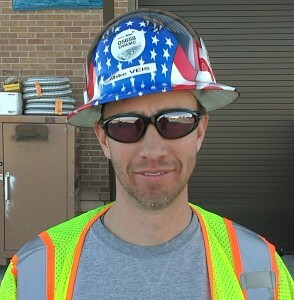 Mike Veis is an onsite project superintendent for Brazos Builders, Inc. He has almost 20 years of construction industry experience which includes rough carpentry, framing, drywall, finish carpentry, trim carpentry, and millwork installation. 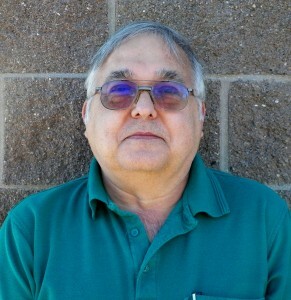 Mike’s primary responsibilities include onsite project management, budget control, subcontractor relations, quality control and safety monitoring, and project completion. Additionally, Brazos has an experienced, qualified team of project supervisors, craftsmen, and laborers.